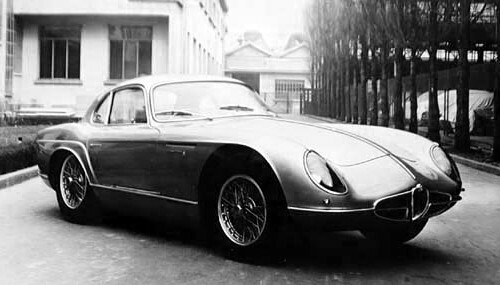 In 1954, to make up for the delayed launch of the new Giulietta, Alfa Romeo commissioned Nuccio Bertone to create the Coupé version of the new 1300: 1,000 units were to be produced. 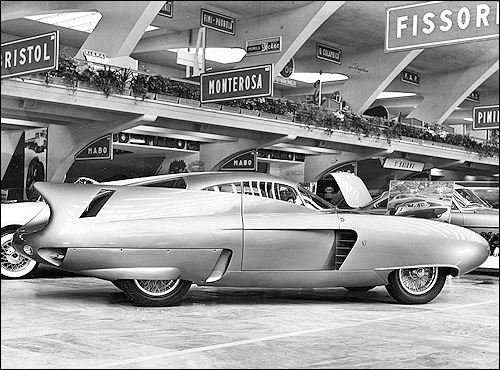 But at the Turin Motor Show in 1954, when it was presented, 700 reservations were taken. 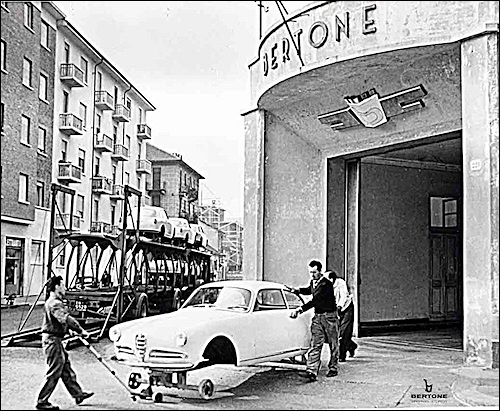 Bertone took up the challenge and the factory in corso Peschiera was equipped to mass-produce the body of the new car. B.A.T. 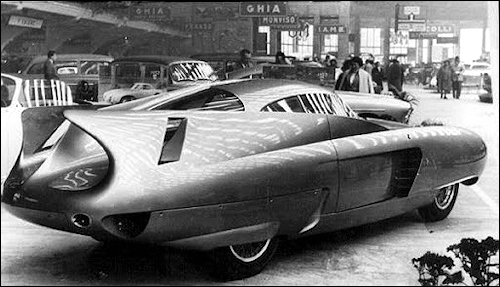 (Berlina Aero Tecnica) 7 is based on an Alfa Romeo 1900 Sprint Super chassis and it has the same general lines as those of the B.A.T.5, with detail modifications aimed at obtaining even less disturbance of the air. 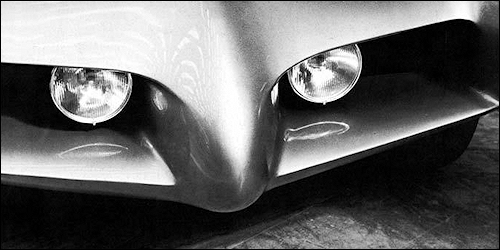 The front is slightly lower and the head lamps no longer disappear into the wings but hinge upwards into the top of the frontal air opening to the radiator. A four-seater Bertone saloon Fiat 1100 T.V. 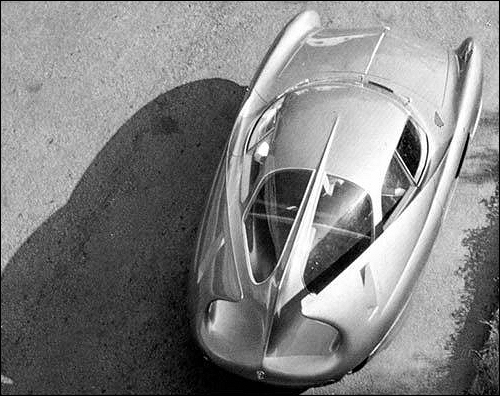 of aerodynamic design with fins on the rear wings is not only attractive in appearance but also has a maximum speed stated to be 150 k.p.h. instead of the normal 135 k.p.h. of the series saloon, the increase being owed entirely to the body design by Franco Scaglione, a young engineer and stylist who co-operates with the Bertone concern. 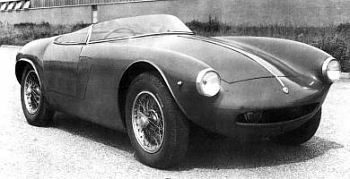 An Anglo-Italian effort is the Bertone Arnolt Bristol sports two-seater, similar to the car shown at Earls Court October '53 but improved in detail. The concave wing surfaces behind the front and rear wheels are of polished stainless steel in order to withstand the sand blasting effect of road grit at speed.